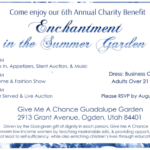 Come enjoy our 6th Annual Charity Benefit, the Enchantment in the Summer Garden dinner! 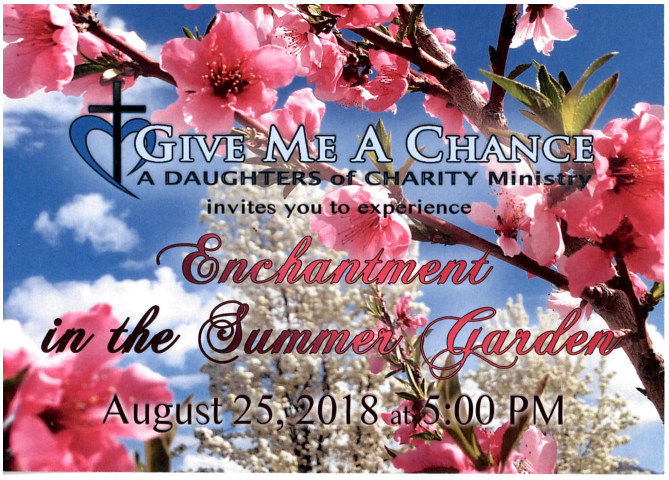 August 25th at 5:00pm, the event will include dinner, a silent auction, music, and a live auction. Dress is business casual. 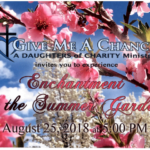 Adults over 21 only, as there will be alcohol served. More information in the pictures!